Listen to this track by Calgarian art-rock quartet Boreal Sons. It’s “Spin”, the opening track to a thematically connected EP Bedtime Briar, their 2012 follow up to 2010’s Whom Thunder Hath Made Greater EP. This song, and the others on this new EP explores the ideas of inner life, outer appearances, and the nature of identity that are culminated in both. These are big themes indeed. But, the starting point of all of that comes from a simple and single image that forms the central concept of the release; that of a sleeping golden retriever, he being the titular Briar. “Spin” is rife with changes in tonal direction, lots of momentum built up and then gently wound down again, and sonic spaciousness that gives it all a sense of depth. This makes it a great backdrop to the idea of delving into the mind, and ultimately into the root nature of a sleeping figure whose true identity is hidden from view. That this figure is a golden retriever, a fact not mentioned directly in the song, or in other tracks, brings out the dimensions of the material. After all, if the dreams of animals can reveal a full-colour sense of spirituality, then how much more complex is the universe itself than how we understand it as human beings? The music here embodies the hazy liquidity of a dream state, with jazz-inflected drums (Zach Schultz ), echoey guitar and bass (Blake Enemark and Reagan Cole Mclean, respectively), ethereal keyboards, and a sort of distant yet warm lead vocal (both thanks to Evan Acheson) establishing a supportive aural background. Yet, underpinning piano lines, and the clarity of a trumpet solo helps to give this song a sense of foreground to match it. That, and the fact that the song takes its time, changing tack in an outro that sets things up nicely for its place as a unit that is a part of a greater whole. Each “movement”, of which “Spin” is the first, represents a literal movement of Briar, the beloved golden retriever while he sleeps. It’s something that many have wondered about, seeing a sleeping dog shudder and twitch during sleep, maybe chasing squirrels, visiting idyllic locales, or maybe even re-establishing a natural order where we humans are the ones in kennels, wearing collars, and are relegated to baskets for our beds. Or maybe they dream of worlds of which we can’t conceive, lacking as we do the adequate perceptions only available to those of our canine friends. In this song, we see a glimpse of the inner life of a being that perhaps we’ve underestimated. This is a study of the rich complexity of consciousness and imagination, with whole worlds made and unmade just through the power of dreams, and by the most humble members of our households. This evokes even wider, unspoken themes that touch on the limitations of how we perceive our world on its surface, and how our own senses may not be the whole answer to the nature of how we understand our lives in it. It suggests that we are all unexplored universes one to another, and each awaiting discovery. 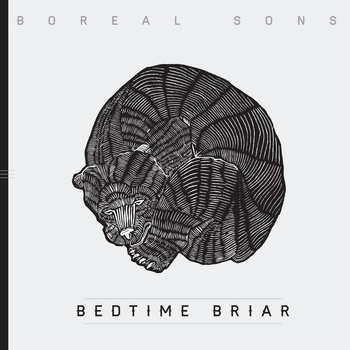 To learn more about Boreal Sons, head on down to borealsons.com for news, tour dates, and new releases.